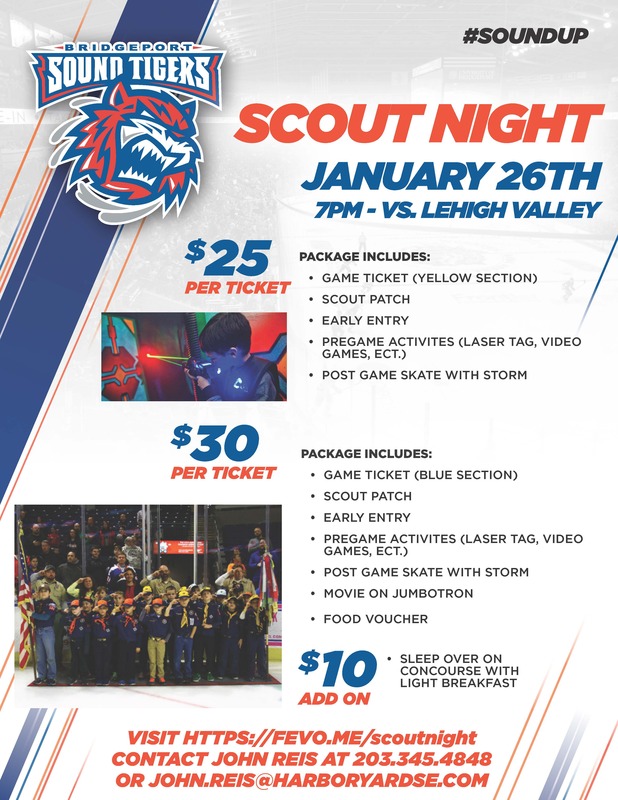 Scout Night with the Bridgeport Sound Tigers! Come for the game or stay overnight, either way your Scout is going to have a great time! Pre-game activities include laser tag, video games and more! Post game you can skate with Storm & watch a movie on the jumbotron!! Don’t miss out on this event….register today. Click here to register for this event today!